When it comes to property damage, you need to be careful about who you choose for repairs. In this case, the lowest rate is not always the best policy. Being in business for nearly 30 years, we have restored countless properties AFTER the first hired contractor left the premises. Even in our junk hauling services, and property clean up services, many of our competitors do not realize there is a right way or wrong way to perform the service. There is certainly a difference in workmanship quality between companies, and you want to make sure you choose the right company that can meet your needs. That is why at Kelley Klean, we have put together a list of Dos and Don’ts when choosing a contractor that works for you. Regardless if you are seeking a contractor to restore, clean or haul away junk, choosing the right contractor on the first try will save you time, money and your sanity. Make sure the contractor you are looking to hire has the proper licensing and credentials. In addition, make sure to hire the company that holds the license in the specialty you are seeking. For example, if you need restoration services that require work on your plumbing, then you would need to find a contractor who is licensed in that area. Find a contractor who is highly regarded and has a solid reputation. Reputable companies have a list of references they can provide you to easily. If the contractor you selected cannot provide you references, then you need to keep looking. Yes, it takes time, and yes, you may need to pay for the quote, but it is important to understand the level of services you that could be obtained from each company. It also keeps each contractor honest in their pricing and allows you to make an informed decision. Every contractor has a certain way they get paid. Some will require payment at the end of the project, while others will accept payments in stages. Each strategy is legitimate, however, you need to make sure you fully understand the payment process. Some contractors may ask for a 10% deposit to cover the cost of materials, however, where you need to steer clear, is when they ask for 50% upfront. Avoid paying large sums of money upfront. Remember, you are their client. Before you begin work, identify the specific payment terms so both you and the contractor are protected. There are vast differences between the qualities of work between different contractors. That is why choosing the lowest bid is not always the best strategy. Make sure you do the proper due diligence on your part; checking references, verifying licensing and making sure you are working with a reputable business. NEVER begin work without signing a contract and agreeing to the terms. Also, make sure you understand the terms of the agreement. Typically, legitimate contractors will ask you to sign a one-page document that allows them to begin work on your home. Be wary of a contractor who forgets this important step. Choosing the proper restoration company after you have experienced a loss is a very important step. You want to make sure you leave the project in the hands of experienced professionals. 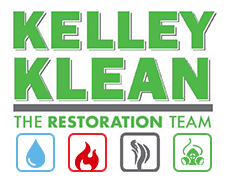 At Kelley Klean, we have nearly 30 years of experience restoring properties. If we can assist you with your next property loss, please feel free to give us a call. If you have experienced a property loss, need junk removed, or systems in your home repaired, give Kelley Klean a call. As a comprehensive property contractor specializing in restoration, remediation and property repair and clean up, we can be your one contractor of choice in the Central Missouri area.